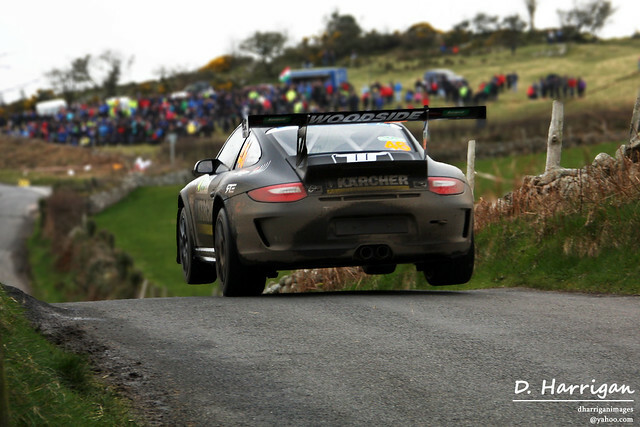 There may have been glamour models and Hollywood A-listers among the competitors on this year’s Circuit of Ireland Rally, but there was only one real crowd puller – the Tuthill Porsche 911 R-GT. Driven by Robert Woodside, with Allan Harryman on the notes, the unmistakable flat-six reverberated around the Mourne Mountains on Good Friday, evoking magical memories of past events. The Circuit of Ireland has a deep connection with the Stuttgart supercars. During the early 1970’s, the 911 scored back to back wins in the hands of Jack Tordoff and Cathal Curley. Although, Porsche power and ‘The Circuit’ became intrinsically entwined in the mid-1980s. 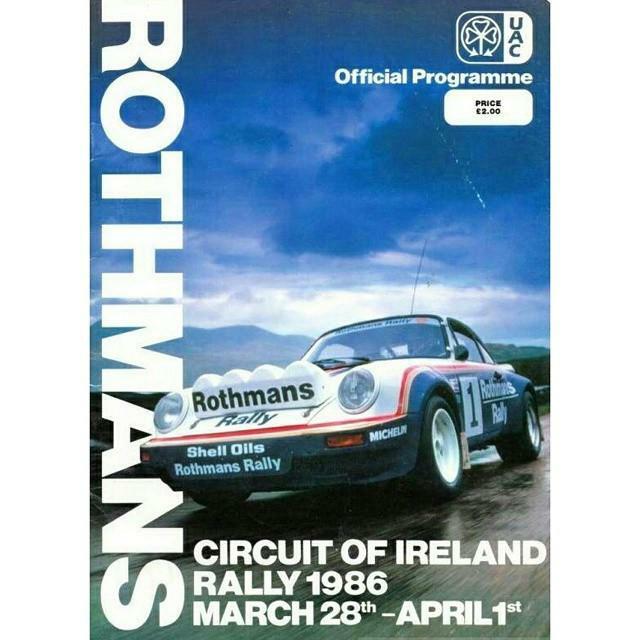 A tie up with title sponsors Rothmans saw Henri Toivonen, Bernard Beguin, Saeed Al-Hajri and the Millstreet maestro, Billy Coleman, drive DRA-run 911 SC RS’s in consecutive events. The final Rothmans Porsche appearance in 1986 proved to be an unhappy one. Early on day 2 of the event, Al-Rajhi crashed his car heavily and had to retire. Teammate Billy Coleman remained, but his car would also succumb to accident damage. However, just under thirty years later, the 911 was reunited with the inscrutable Irish tarmac, thanks to Tuthill Porsche and the new R-GT rules. 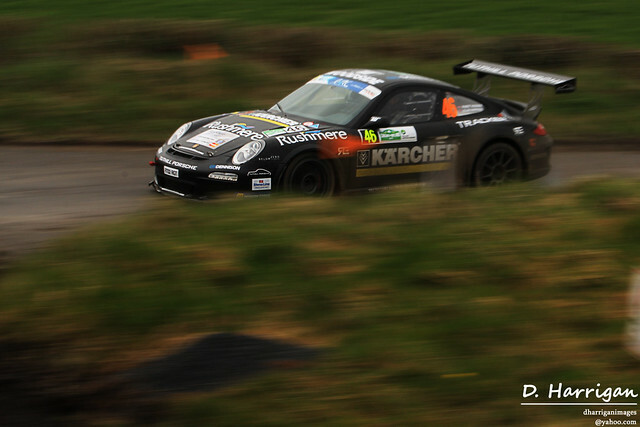 These regulations have enabled Tuthill to take a stock 997 GT3 and turn it into a rather cooking, FIA approved rally car. 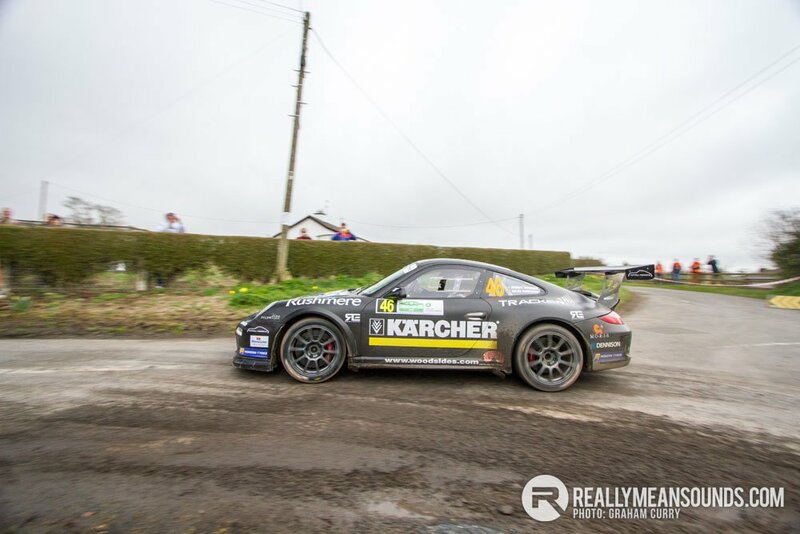 After a number of outings in World Rally Championship, most notably in the hands of François Delecour, Tuthill brought the 911 to Northern Ireland for a test session in mid-March. The purpose: to see if they could rouse interest for an Easter excursion. Robert Woodside liked what he saw and happily, a deal was struck. A quick look around the service park, the special stages or social media last weekend, and it was clear that the 911 was the star of the show. Whilst the spectators flocked to the ditches to see the ding-dong battle between Robert Barrable and eventual winner, Craig Breen, no-one went anywhere until the distinctive matt black machine had roared over the crests and dips of the County Down countryside. When the car failed to complete day 1 due to clutch problems, there was a palpable outpouring of public anguish. Not just from rally fans; but from casual observers to the downright curious. They may not have understood the intricacies of the actual event, but they all recognised the 911. It was the one car everyone could connect with. The Tuthill mechanics worked late into the night and the resurrection was complete. The car took to the roads for the second day and reinvigorated Woodside brought the car home for a first finish on Irish soil. 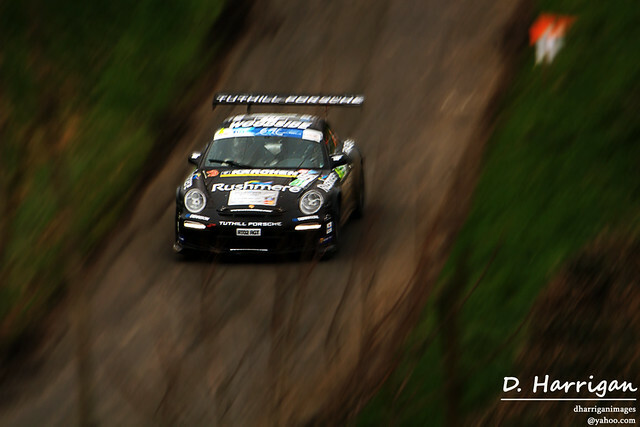 Indeed, it’s fair to say that everyone hopes this is the first of many finishes for the Tuthill Porsche in Ireland. The Tuthill team clearly liked what they saw and have expressed a strong desire to come back. Needless to say, the spectators can’t wait to have the car back! With Killarney Rally of the Lakes only weeks away, the prospect of a Porsche howling through Moll’s Gap would be very special sight to behold. Actually could not have given less of a toss about the Breen/Barrable battle out the front. I went purely to see Robert and Allan in the Porsche. Seen this today at Porsche showroom across from us today. The noise!!! Saw them on the A1 too. http://i95.photobucket.com/albums/l129/Lyonzo/Mobile%20Uploads/163F99E3-CDE9-4A9A-B960-665F4C060BB4_zpswgzvenqw.jpg So do Woodsides own it then? Whats the history behind it? Details are in the article but basically Tuthill own and built it, Woodside hired it for the event. Ah sure, you'd win your class everytime though! :) Thanks for the feedback @davecoupe and loving the pcitures, espeically the jump.